Flyer printing is a popular and long lasting marketing tool that can make a profound impact on customers with vibrant colors that get your message out to thousands. Flyers are the best affordable way to make impressions en masse. - Use them whenever you need to get noticed. 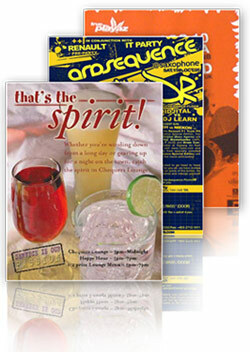 Flyers are the most cost effective way to market your services or products.